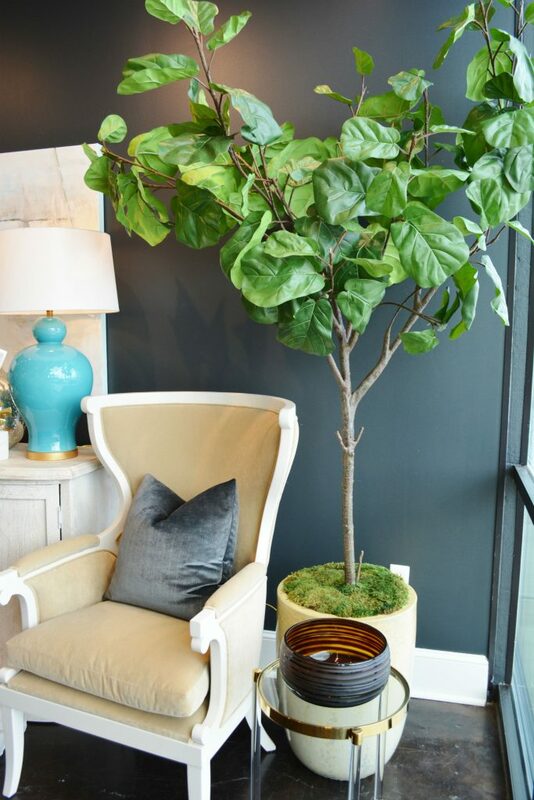 We have a new selection of faux fiddle leaf fig trees in the store. We love these plants in nearly every space. They bring in color, height, and they are available in a variety of styles and sizes. In the store, we have two different sizes you can choose from. 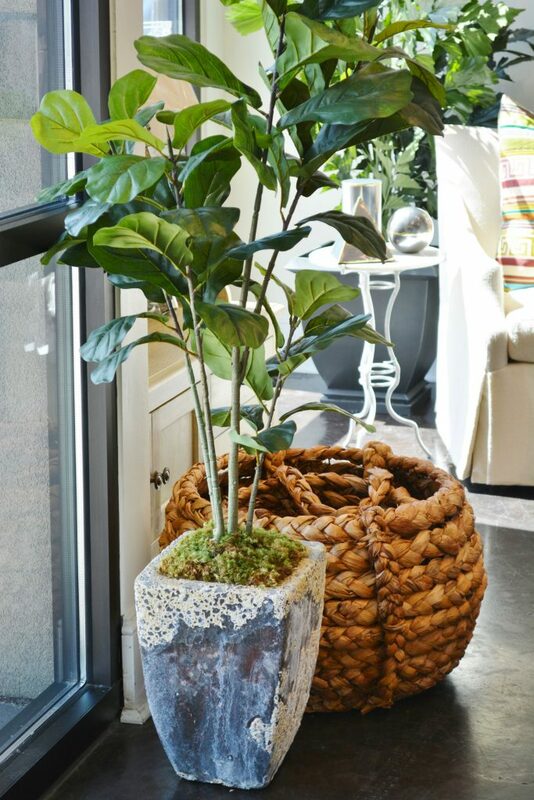 Our 8.5′ ft tall fiddle leaf fig is planted in a distressed ceramic urn. 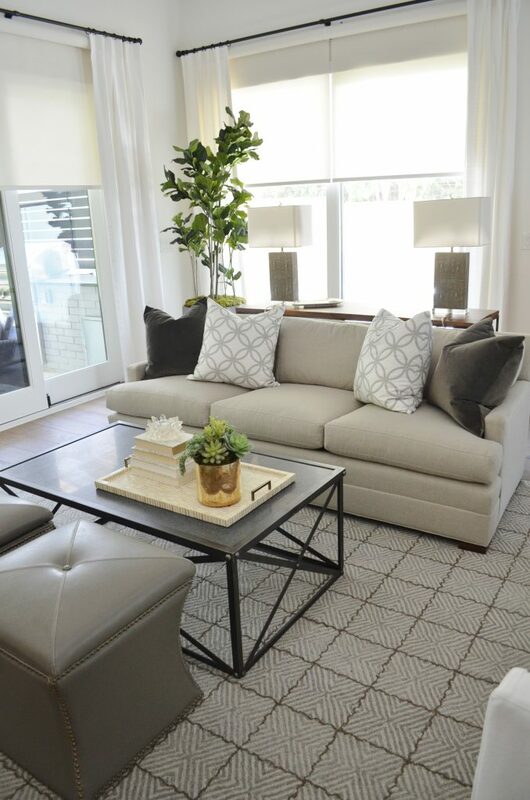 Its neutral color and transitional style allows it to be paired in any space without feeling too contrived. The branches sprawl out to take up even more visual space. Here is a close-up of the neutral ceramic glazed urn. 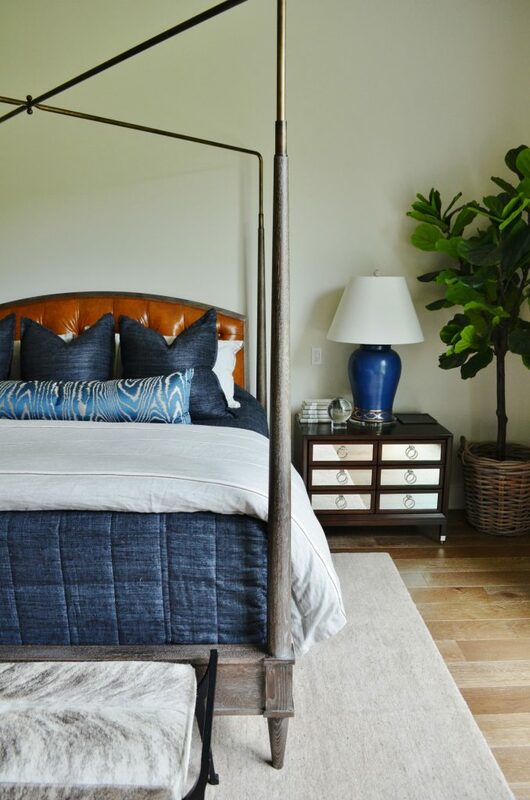 The overall dimensions of the larger fiddle leaf are 68 W x 50 D x 102 H. It sells for $1,329.99. 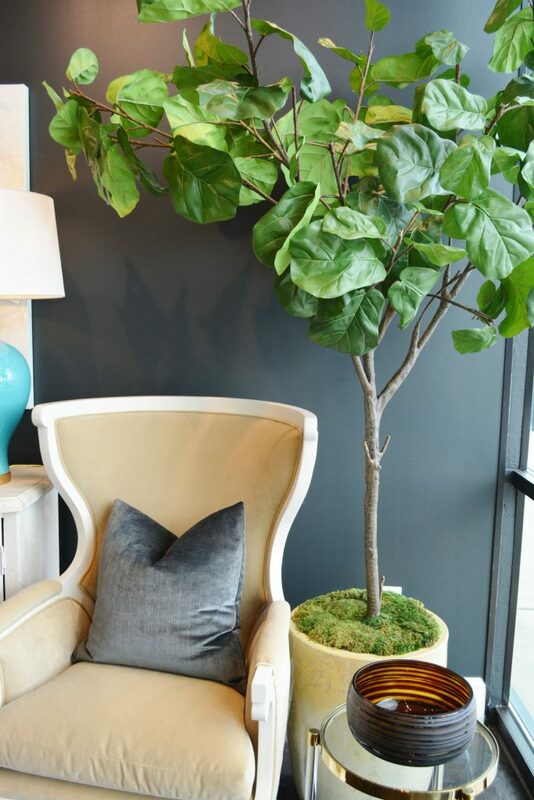 Fiddle leafs can come in petite sizes like our new fiddle leaf figs in a french style pot. 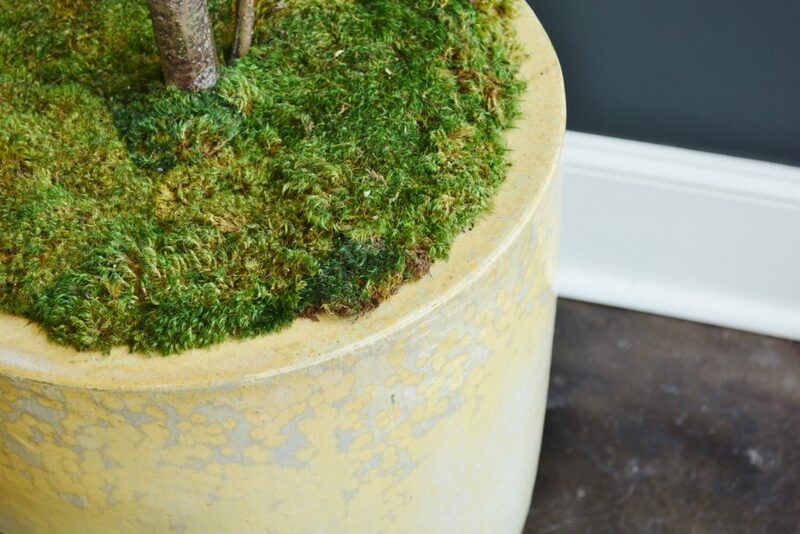 They can fit in smaller niches or spaces, but still add just enough green and interest to your home. This fiddle leaf fig is 23 W x 29 D x 56 H and sells for $569.99. 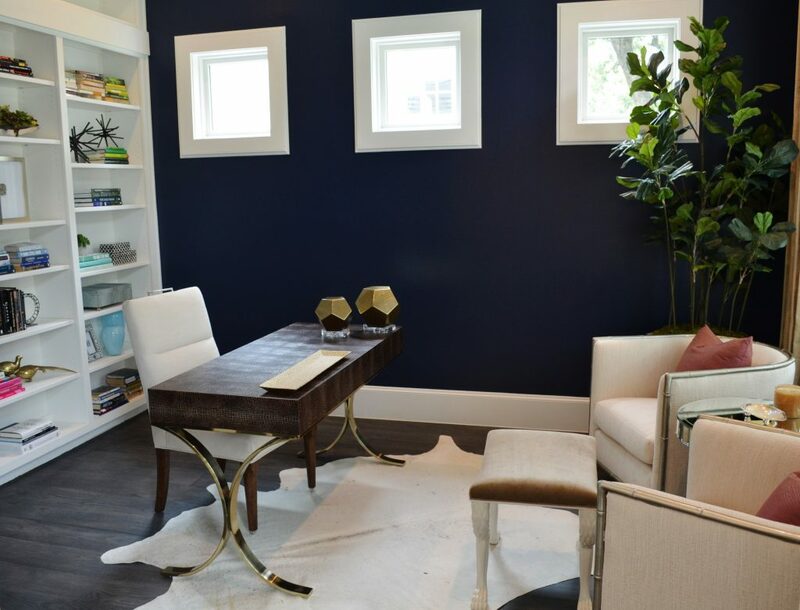 Fiddle leafs are one of our favorite interiors plant for many due to their large glossy leaves. 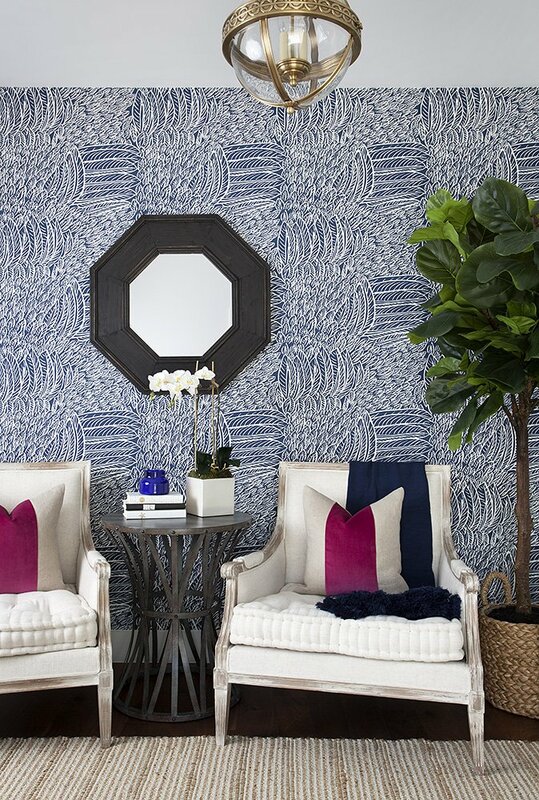 Here are a few projects where we have incorporated a fiddle leaf fig tree. 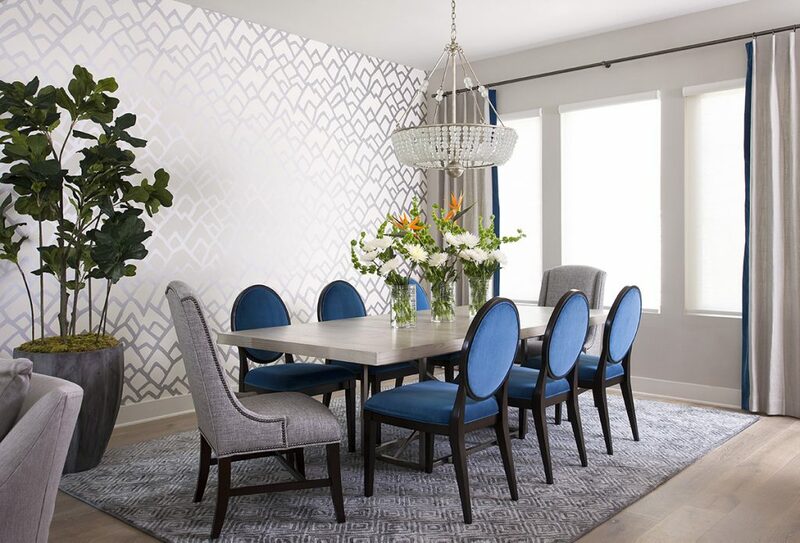 Here’s a sneak peek of the Villa Blanca Breakfast Room that also features this stylish plant. 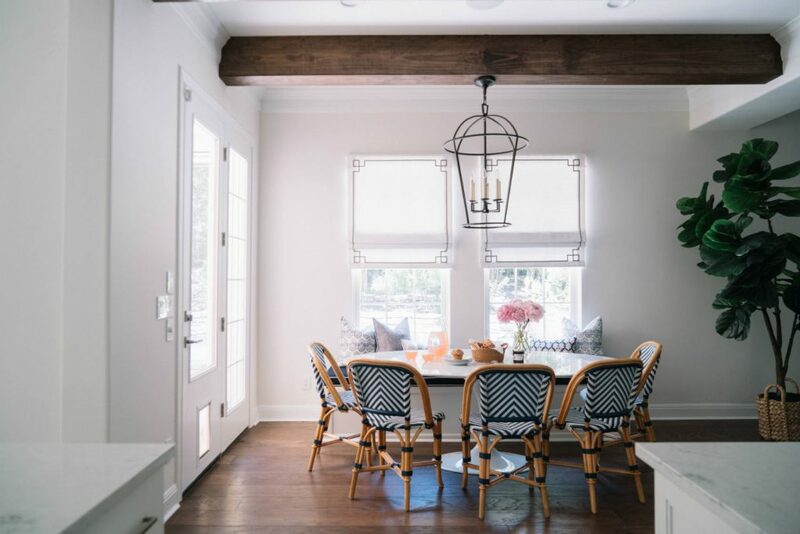 Be sure to follow the blog to see more photos of this bright and happy breakfast room on Friday. Lastly, we want to take a moment to think about all of our fellow Texans that have been impacted by the devastating effects of Hurricane Harvey. Our thoughts and prayers are with you during this difficult time.